TINY but TOUGH! Let's GO GOLD for September- Kids' Cancer Awareness month. 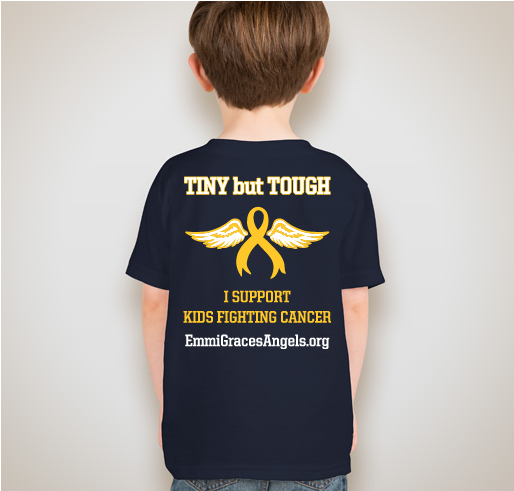 All funds raised will go directly to Emmi Graces Angels Inc . Kids fighting cancer may be TINY but they sure are TOUGH! September is childhood cancer awareness month. In the US, 7 children die from cancer or its treatment every single day. Another 43 will be diagnosed today. This is not acceptable! Often times, people think that kids cancer is "being handled" but sadly, only 4% of the National Cancer Institute Budget goes to pediatric cancers. Breakthroughs and advances are largely funded by private family foundations. 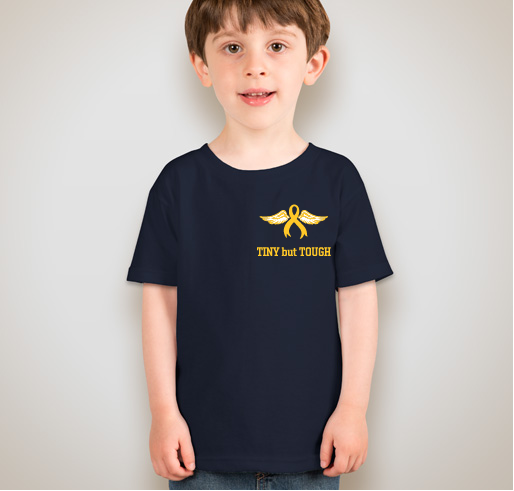 Wearing GOLD this September can help to raise awareness for kids' cancers and show support for those fighting! Can you imagine how great it is for a kid with cancer to see someone else wearing GOLD for them?? Where will the t-shirt sales proceeds go? Did you know that some kids with cancer are ready to be discharged from the hospital but have to stay because insurance isn’t covering their necessary medical supplies? Simple things like antibiotics?!?! Or that some pediatric cancer patients don’t have coverage so have to stay in patient when it’s not medically necessary?? For Emmi’s 3rd Birthday, we want to help get these kids home for the holidays! It costs about $1500 to get the medical supplies needed for a childhood cancer patient to go home. So this year, please consider helping us get these kiddos home for the holidays in honor of Emmi’s Birthday! 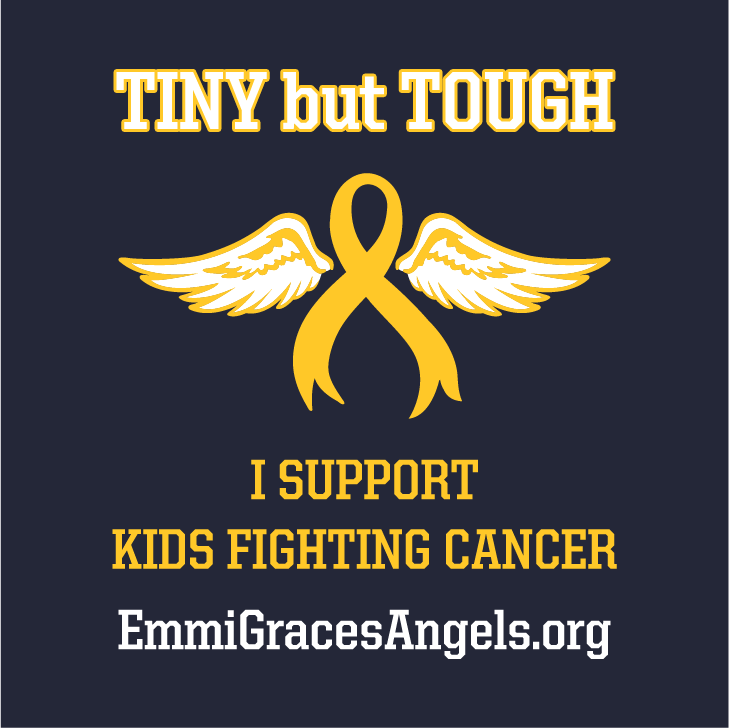 Emmi Grace's Angels exists to bring support to families fighting kids' cancer and support research to END it! 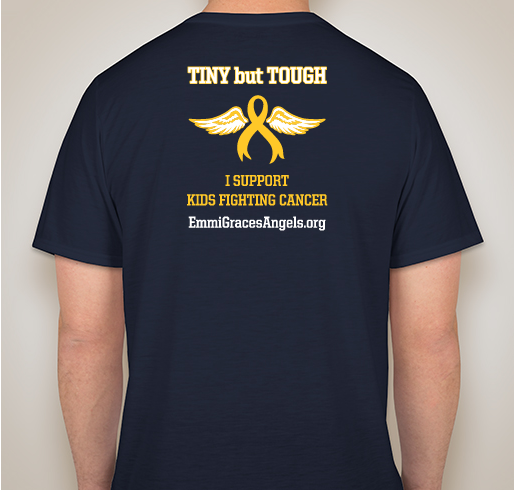 Proceeds from t-shirt sales will go to Emmi Grace's Angels Foundation- supporting families fighting kids' cancers through outreach, awareness, and research! Check out EmmiGracesAngels.org or @EmmiGracesAngels for more info. $30 performance available in Youth XS - Adult XXL. Be sure to chose adult or youth size accordingly. Please consider purchasing a t-shirt (to help get these kids home) and wearing it (to bring awareness and show support)! Thank you to the Amy Gail Buchman Preschool at Congregation Schaarai Zedek for the support of EGA! GO GOLD days at school will be September 26 for M, W, F and September 27 for T, Th. M-F kids, GO GOLD either day, or better yet... both! 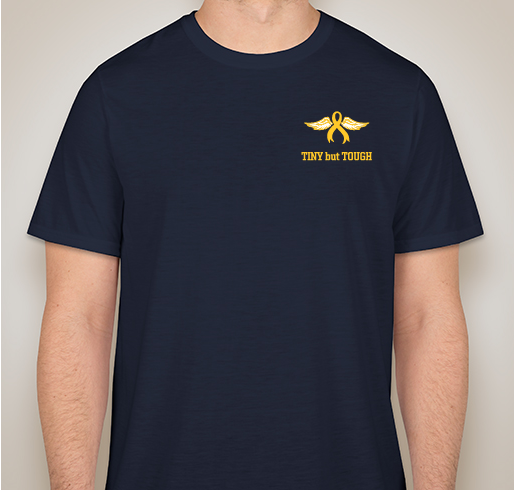 Choose to have the shirts shipped to me and I will deliver them to your child's class cubby on the 25th! Our beautiful youngest daughter Emmi Grace was born December 2015. In April 2016, she was diagnosed with the horrible beast AT/RT (an aggressive brain cancer). She was TINY BUT TOUGH! She underwent multiple surgeries and received intensive chemotherapy treatments. In spite of working with some of the best doctors and nurses in the field, the science failed her. She was born to eternal life in June 2016 at only 5 months old. Cancer attacks families. We want to be there for families so that they know that these kids are TINY BUT TOUGH! And so are we! Thank you for helping us to GO GOLD this September to support children fighting childhood cancers. 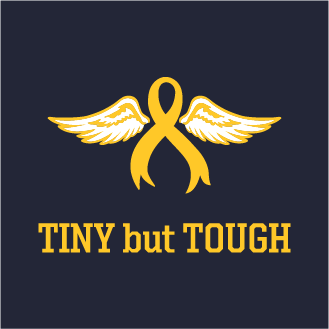 Share Why You Support "TINY but TOUGH! Let's GO GOLD for September- Kids' Cancer Awareness month."